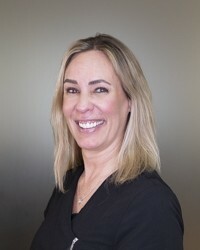 Learn a bit more about our wonderful staff at DermMedica. We are here to make your visit with us comfortable and rewarding. Charlene is our Director of Operations, working diligently behind the scenes to make sure everything is running smoothly. 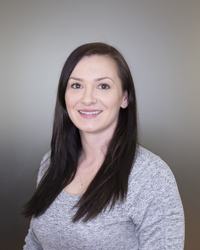 Born and raised in Kamloops, Charlene attended the University of Lethbridge for a degree in Kinesiology before pursuing her MBA at the University of Victoria. Charlene spends most of her time these days with her husband and young daughter, who is starting swimming lessons shortly. Very exciting! Favourite Treatment: CoolSculpting of course! What Inspires Me: Watching my daughter grow and change and seeing life through her eyes. My Ideal Day Outside Work? : Spending a day with my husband and daughter doing something fun and relaxing. Calista enjoys all seasons in the Okanagan. Whether it’s snowboarding in the winter, or hiking in the summer, she is always up for an adventure. She always makes time to enjoy new music while practicing yoga which can take her away to an exotic location like Hawaii. She has always been interested in beauty and self-care so naturally she pursued a career as a makeup artist. 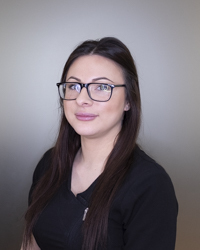 She believes beauty starts with healthy skin and she loves creating personalized skincare and makeup applications for each and every patient. Favourite Skin Care Product: Cellex-C Advanced C Serum. What Inspires Me: Music and travelling. My Ideal Day Outside Work: A morning workout at New Wave Fitness, an afternoon spent chasing the sun, going for dinner at Raudz and ending the evening watching an episode of Chef’s Table. Jessica is an Okanagan girl, who enjoys the outdoors and spending time with her family. You’ll usually find her on the weekends adventuring outdoors and enjoying the sunshine. Favourite Treatment: Botox Cosmetic, Juvederm Fillers and DermaPeel laser skin treatments. Favourite Skin Care Product: Retinol and HA5 for glowing, hydrated skin! My Ideal Day Outside Work: Sipping coffee on my rooftop deck, and heading out for a great hike with family. Dana is new to the beautiful Okanagan Valley, hailing from Toronto. She is excited to embrace the amazing vibe of the west-coast with her daughter. Dana finds joy with yoga, meditation, laughing and being around positive people. Life is always an adventure! 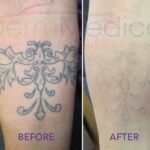 Favorite Treatment: CO2 Fractional Laser(DermaPeel) and Levulan skin treatments. Favorite Skincare product: SkinMedica Total Defense & Repair Sunscreen and Colorescience Mineral Skincare. What inspires me: My daughter, travel, the beach and a freshly popped bottle of bubbles! My Ideal Day Outside Work: Making healthy, delicious raw/vegan/plant-based meals for friends and family..while enjoying my bubbles! Raised in the Okanagan, Karli loves being outside in the summer sun either hiking, kayaking, cycling and of course wine tasting. She also loves to travel and explore different parts of the world. 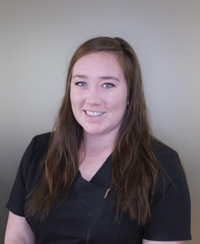 Karli has previously worked at a winery for multiple years in the hospitality industry and event planning, while completing her biology degree from the University of BC Okanagan. 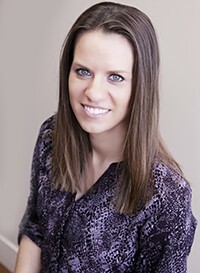 She has always had a passion for learning especially about skin care and is very excited to learn more. What inspires me: Helping people, travelling, and my family and friends. My Ideal Day Outside Work: Being around my family and friends, working out or hiking and sitting on a sunny patio. 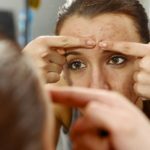 Favourite Treatment: Botox Cosmetic or Q-Switch laser for pigmentation. Favourite Skin Care Product: SkinMedica Retinol 0.5%. What Inspires Me: Making people laugh and smile. My Ideal Day Outside Work: Mountain biking or hiking with my two dogs. Enjoying a nice local red wine in the evening after a long day or week and visiting a local winery. Originally from a small town on the Sunshine Coast, Sukey spent a few years in Vancouver after graduation working in the restaurant and hospitality industry. She has been in Kelowna for nearly 7 years, and absolutely loves all that the Okanagan has to offer. Sukey’s interests include hiking, yoga, weight training, travel, and interior design. 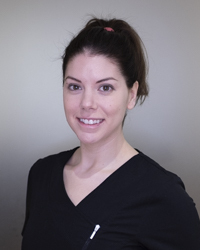 Sukey recently completed a Diploma in Licensed Practical Nursing with distinction from Okanagan College. 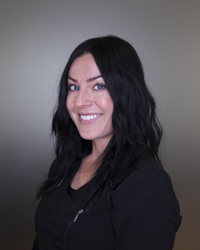 She is excited to join the team at DermMedica, as she is passionate about health and aesthetics. What Inspires Me: Health and wellness, education, and my family. My Ideal Day Outside Work: Waking up to a cup of coffee, then going out on the lake in the summer or exploring a new hike with friends and my two dogs. Favourite Treatment: Laser Treatments for pigmentation. Favourite Skin Care Product: TNS Essential Serum. What Inspires Me: Raising my two boys and sharing new experiences with them. My Ideal Day Outside Work: A morning run, then spend the day at the beach followed by a nice patio dinner and some local wines!